In the 1982 World Cup, Italy defeated Germany in the Final to win its 3rd title (and first since 1938). The Azzurri upset Brazil, the prohibitive favorite, in the second round thanks to a heroic hat trick from Paolo Rossi. 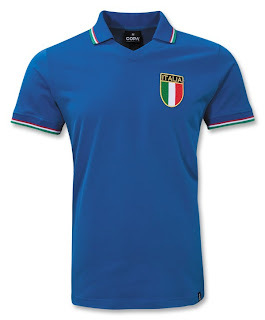 We're glad to offer not one, but two retro soccer jerseys that commemorate Italy's historic triumph! Italy World Cup 82 Away Soccer Jersey. 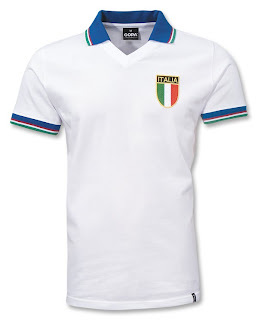 Italy World Cup 82 Home Soccer Jersey.